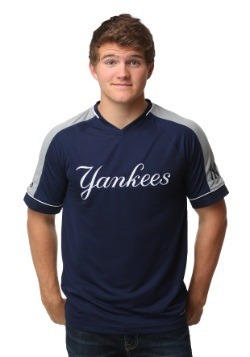 Do you need some Yankees style for when you're on the go? Pick out this New York Yankees t-shirt to wear in the morning, and you'll be sure to have the style of your favorite team with you all day long. Whether it's game day for the squad, or you just want to show off your baseball style during the off-season, this Majestic Official Logo shirt will have you outfitted with New York style for any situation. Featuring an over-sized NY franchise insignia logo printed on the front of this t-shirt, it's a classic way to show off the iconic club imagery. Wear it with your favorite button up so that you're always representing the squad, or save it for your big trip to the stadium to show off that you're a top notch fan. 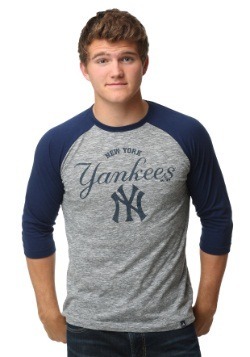 This all cotton shirt is MLB officially licensed, and is the perfect shirt for any fan. Pick it up for yourself or give it as a gift to your favorite fan!